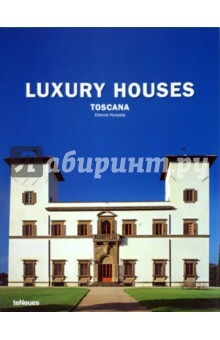 This sumptuous volume chronicles the rarified world of Tuscan estates and their owners. Most of those profiled are noble families who have lived on their estates for centuries. The photographs document exteriors, interiors, historical grounds, and tradition-rich family celebrations. We also witness the professions and hobbies carried on here, like wine-making and hunting. Each chapter details the family&amp;apos;s history, their life today as well as the close emotional bond to their lands. Etienne Hunyady studied French literature and photography in the US and France and lives in Italy. His work has appeared in Fortune magazine, Travel &amp; Leisure and Italian Architectural Digest. This is his third book. A privileged glimpse into a hidden world For all lovers of Tuscany, and those interested in traditional Italian life Text by Kelley F. Hurst Text in English, German, French, Spanish and Italian. рекомендовала бы её почитать любителям роскоши.